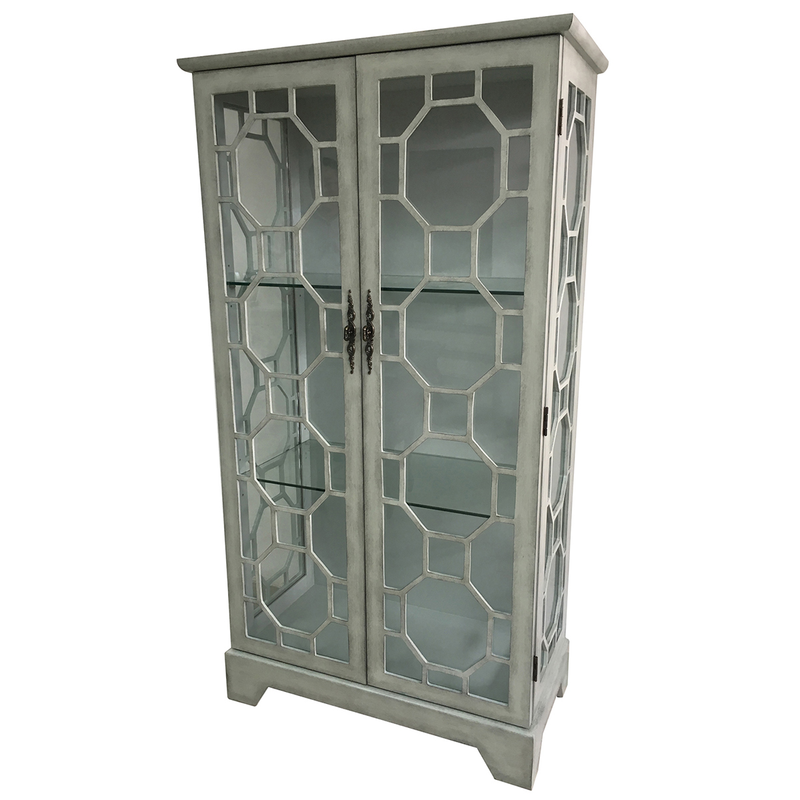 Enhance the seaside mood of your living room with the Evelyn 2 Door Gray Glass Curio with Fretwork, finely crafted with fun octagonal accents. Ships from the manufacturer. Allow 1 to 2 weeks. Cannot express ship this beach style furniture. For further offerings, we ask you to take the occasion to look at our comprehensive collection of beach style cabinets at Bella Coastal Decor today.